We are a general law practice focusing primarily on Bankruptcy and Tax Resolution matters. We also handle Estates, Wills, Heirs’ Property and Immigration cases, along with variety of other types of cases and legal proceedings before all state and federal courts in South Carolina. 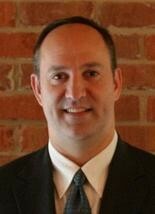 David holds a Bachelor of Arts in English and a Moore School of Business MBA from the University of South Carolina. David earned his Juris Doctor at Georgia State University and his Master of Laws in Bankruptcy (LLM) at St. John’s University School of Law in Queens, New York. Attorney John J. Pinckney holds a Bachelor of Science in Finance & Real Estate and a Moore School of Business MBA from the University of South Carolina. John earned his Juris Doctor at the University of South Carolina School of Law and his Master of Laws in Taxation (LLM) at the University of San Diego School of Law in San Diego, California. United States Bankruptcy Code, 11 U.S.C. § 101, et seq.